For those who would like the convenience of the walk through shower option, yet who still would also like to enjoy the benefits of soaking in the bathtub, we have the solution! 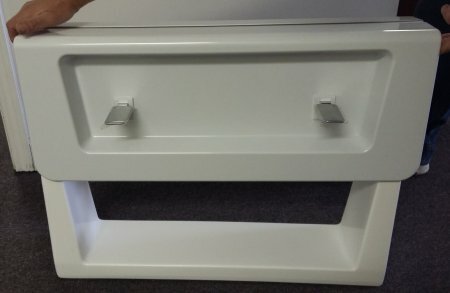 Our Tub Conversion Cover is the perfect addition for you! 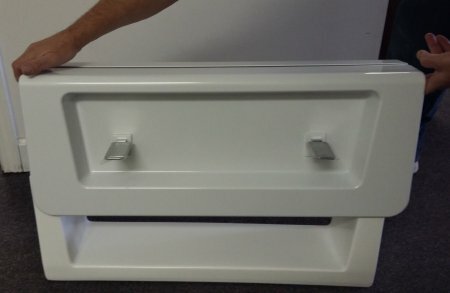 Tub Conversion Covers are available to fit over the Small or Medium Step Through insert. Either option will convert your shower to a bathtub again in seconds. Since individuals with different bathing needs share the bathroom; the Tub Conversion Cover allows you to have options available to meet each of their specific needs. Pick the cover up either at the ends or in the center under the ledge on each side. Lift the handles into the up position and place the door over the step through insert. Take care to keep it centered as much as possible. The conversion cover will work when off center. However, center the cover as much as possible to achieve the best possible seal. Using both hands, push the handles in the down position. You should begin to feel some tension in the handles by the half way point. Quick and easy! 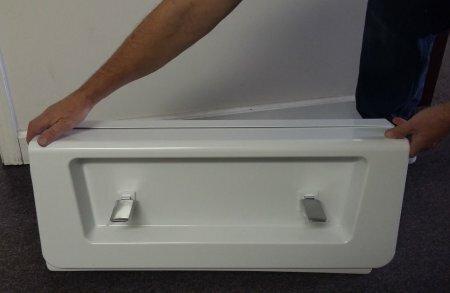 Either leave your tub conversion cover in place when not in use or stand it up on its end in a convenient location out of the way. If you leave the cover on the bathtub when not in use, leave the handles in the open position. Clean the tub conversion cover with warm soapy water. Use a mild liquid detergent such as dish washing detergent to clean the door. If the surface is beyond easy cleaning, then you may need to use a non abrasive household cleaner. Ensure you properly rinse the cover. Chemicals in the cleaner can adversely affect the finish or function of the tub conversion cover. Order from our online store or call us with product questions.